Ask the Advisor: Is Social Media Worth it for Small Business? 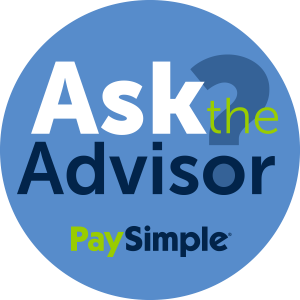 Ask the Advisor is a weekly PaySimple column featuring reader-submitted small business questions answered by our panel of business professionals. If you would like to submit a question, or become a PaySimple business advisor, please read the information at the bottom of this article. Social is the growing trend in everything. I believe my husband reminds me occasionally to “Eat it – don’t Tweet it!” But the key component to social is sharing. I share what I like and often, friends will follow. If a friend likes a restaurant, I will probably try it. If a friend had a stellar tax guy or gal – there is a high chance I will use them, too. And for even the smallest of companies, social media has become as important as the monthly Chamber of Commerce networking event. With over Facebook reporting 665 million daily users for Q1 of 2013, Facebook allows small businesses a targeted way to talk to their customers. From CPAs sharing tax laws and premium advice for potential customers to the local food trucks letting hungry followers know their location (I like the cupcake trucks! ), tools like Facebook Pages and Twitter provide companies of all sizes a way to share and communicate with their community. This gives small businesses a chance at brand recognition in the sea of corporate competition. Not convinced, yet? Besides the fact that the basic tools are free – scheduled posts so you aren’t chained to your computer at all times, Insights or metrics to rate the efficacy of your efforts, and event pages. You can also opt into using targeted advertising by purchasing sponsored posts or ads that companies can aim toward to specific age groups, geographic areas and interests. Do you have a small business question about taxes, legal structure, insurance, social media or general business issues? If so, please email it to pjones@paysimple.com and we will have one of our advisers answer it for you. If you would like to become one of our small business advisers and answer questions pertaining to your industry, please email your resume and qualifications to pjones@paysimple.com for consideration. The content of this article is provided for informational purposes only. It is not intended nor should it be viewed as legal advice. No one should act or refrain from acting on the basis of any information in this website without seeking the appropriate professional counsel on his or her particular circumstances.